At Catalyst, we’ve created a large group environment that attracts students just like you. After all, we figure you want to be wherever your friends are! We make this time as fun and relevant as we possibly can. But, we go one step further and do two things that we believe are vitally important to you: we pay attention to what’s going on in your life, and we care about you. This happens in our small group environment, where each week you leave the large group and spend time in a more intimate setting, talking, processing, and praying about what’s going on in your life. It’s simple – big group to small group. The goal is for you to leave feeling energized to go out there and tackle another week! and to challenge them to serve God with their lives. Has God impacted your life through Catalyst? What grades does it include? Catalyst is designed for students 6th – 12th grade. Catalyst meets on Wednesdays from 6:00p to 7:45p at THE GATHERING. Students typically arrive around 5:45p to hang out in the foyer and eat a light dinner provided by Catalyst parents. At 6:00p, we move into the Worship Center for our worship/teaching time. Around 7:00p, we transition over to the classrooms in Kidzville for CCGs (Catalyst Community Groups). CCGs are age-graded, gender based groups designed to facilitate discussion, encourage discovery through Bible study, and promote life application through meaningful dialogue about living out what we discover each week. At the first of the year, we participate in a community-wide D-Now event (Disciple Now Weekend) with area churches and their student ministries. It’s a weekend event that includes large group worship times, small group sessions at host homes, and ministry opportunities in the community on Saturday afternoon. The cost for this event is typically around $50 and includes meals, lodging, transportation, student resource book, and a t-shirt. During the summer, our big trip is summer camp. 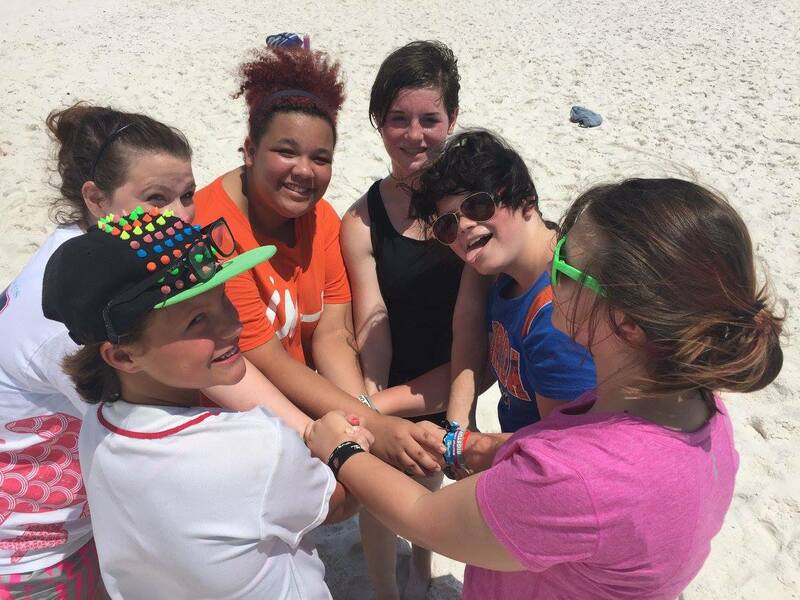 For middle school students, it’s BigStuf Camp in Panama City, Florida. For high school students, it’s FUGE Camp in Greenville, South Carolina. Camp is an awesome week of worship and fellowship. Being on the beach or on a University campus in a camp atmosphere just adds to the amazing experience. Camp is big enough to feel like a movement but small enough to feel like God is personally impacting a student’s life. Camp has inspired and ignited our student’s faith. It’s a week for our students to recharge and for us as leaders to spend intentional time with our students without the hassle of planning every detail. The cost for this event is typically around $190. We also do fundraisers for this camp to lower the cost.